With this product, you earn 449 BIG TIME point(s). The Coco Pearl Collection are unique plastic watches designed to spice up your outfits for a fun and festive look! 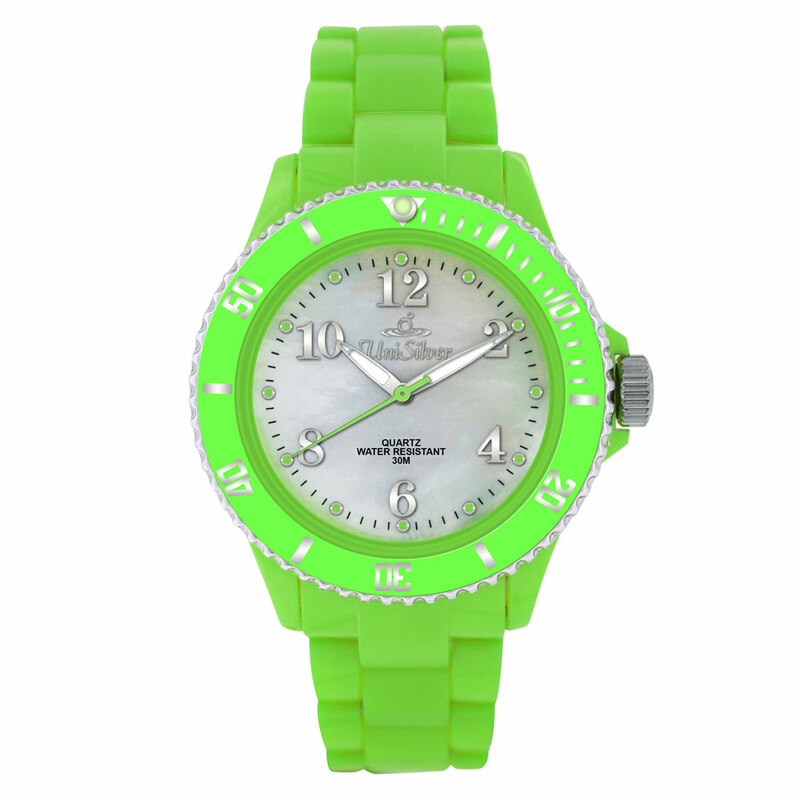 The round dials are classic mother-of-pearls set in youthful and colorful plastic watch bodies. They're a mixture of sophistication and coolness that give them an edge unlike any other watches. Wear them with your casual outfits, summer dresses and punk get-ups for a truly inspirational look! The Coco Pearl Collection are available in hot and delicious colors: Orange Overload, Green Mango Tango, and Blazin' Blue.